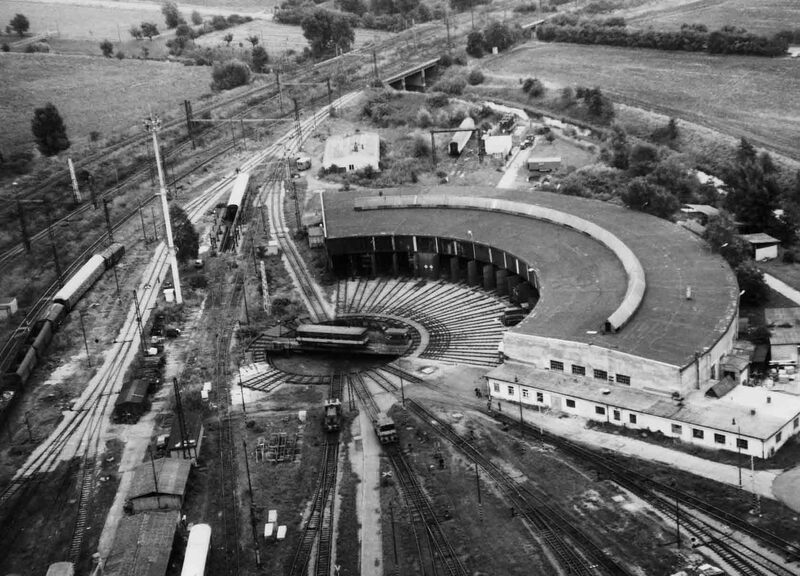 Short History – DPOV a. s.
The history of the repair work in Přerov dates back to the1840s when the first train arrived in Přerov on 1st September 1841. This event was the merit of the Emperor Ferdinand Northern Railway society (KFNB) building a railway connection between Vienna and Galicia. Besides of this main track which continued from Přerov over Lipník, Bohumín to Poland, the KFNB society built a branch track to Olomouc. This town was a starting point for the Northern State Railway (NStB) to Prague. That is why just from the begin the railway station in Přerov was an important railway junction in the Lands of the Bohemian Crown. This situation demanded an appropriate equipment for the maintenance and repair of the locomotives and carriages. The railway depot belonged to the KFNB till 1st January 1906 when the company was nationalised. 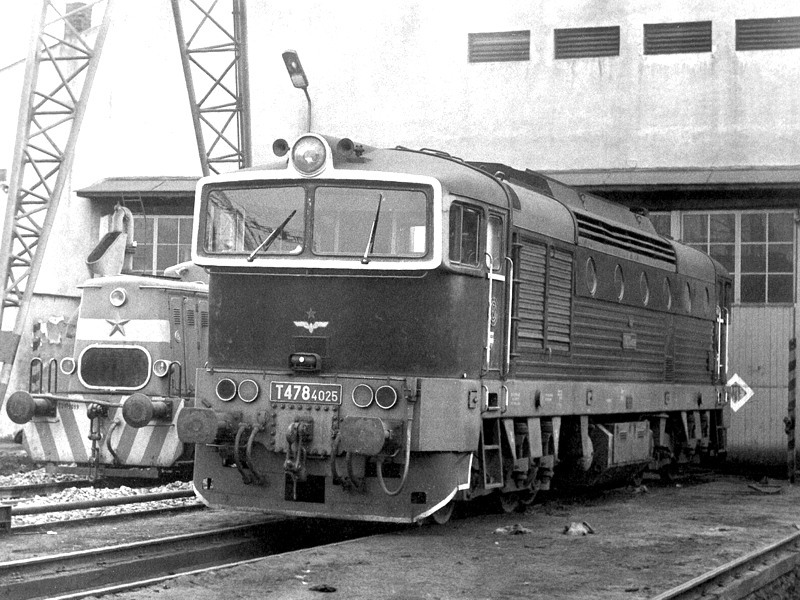 Then, the depot was subsequently run by Austrian, Czechoslovak and Czech state railways. The heating station in Nymburk was built during the construction of the Austrian Northwestern Railway (ÖNWB) between 1869-1875. It represented a base for repairs and inspections of locomotives at the very important juction of this railway. The Northwestern Railway was nationalised as the biggest act of nationalisation in the history of the Austro-Hungarian Empire. The decision of nationalisation was made on 22nd March 1909 after exhausting negotiations. In the following years similar development in comparison to Přerov takes place as a state-owned company. 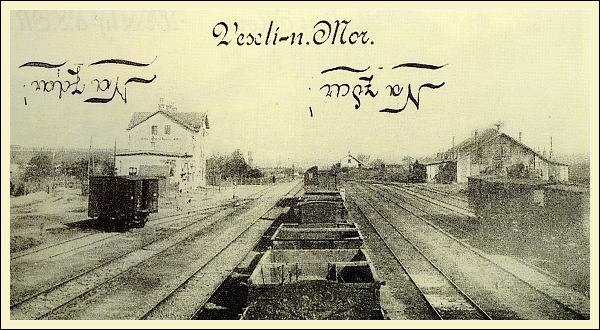 In 1885 a heating station in Veselí nad Moravou was built during the construction of the Vlára Railway which was built and run by the Austrian State Railways Company. The original plans of the Vlára Railway designed the railway from Bzenec over Uherský Ostroh to Kunovice. This concept did not take into account the not very important town Veselí nad Moravou, however, because of not suitable soil and overfladding in the meadows of the river March the concept was changed and Veselí nad Moravou became part of the railway. Till 30th June 2004 there were more than 20 workplaces in the railway depots where overhauling and repairs of functional units were done. Since 1st July 2004 two units were separated from the railway depots – the DPOV Nymburk and the DPOV Přerov. The DPOV unit in Nymburk was superordinated to the repair centres in České Budějovice, Meziměstí and Louny. The DPOV Přerov was superordinated to the repair centres in Veselí nad Moravou and Olomouc, next workplaces in Valašské Meziříčí and Břeclav. The DPOV Nymburk gradually abolished the repair centre in Meziměstí at the end of the year 2005. The repair programme and most of the employes were incorporated into the repair centre in Nymburk. At the begin of the year 2006 overhauling repairs of carriages with GP 200 boogies were abolished in at the work unit in Pardubice. The production and the equipment were transferred to the repair centre in Nymburk, where appropriate repairs started in the second half of 2006. The repair centre in Louny was closed at the end of 2006. Its production programme was partly transferred to the repair centre in Nymburk and the rest to the repair centre in Veselí nad Moravou. Next, at the end of 2005, all overhauling repairs of the electric driven vehicles were transferred from Olomouc to the repair centre in Přerov. In 2006 the Czech Railways, a.s., decided to transform both the units into one subsidiary. So, on 1st January 2007 the DPOV, a.s., company was established in its organisational structure as we know it today.